Cypress Cay is a Beazer Homes gated community, tucked within the Gateway area. Gateway featues gated and non-gated communities throughout its residential area and is located in Fort Myers off Daniels Parkway. This ideal location is just minutes from the airport, Red Sox spring training facility, Gulf Coast Town Center and more. Amenities include BBQ-Picnic, Bike & Jog Path, Community Pool, Community Park, Dog Park & Golf Course, with very low HOA’s. It’s also walking distance to Gateway Elementary. Gateway also has it’s own School, Churches, Soccer/Sports Complex, Dog Park, Community Park, Community Shopping and Dining! Gateway Golf & Country Club has one of the finest golf courses in Southwest Florida. Whether you are interested in golf, tennis, or dining and dancing, Gateway has it all. Experience our intimate Epicurean Dining; join friends at complimentary fitness clinics, computer, and yoga classes; or sign up for art classes. If you are competitive, enjoy our excellent tennis program or just have fun on the courts. Of course, most important of all, golfing is a pleasure on our highly rated Tom Fazio Signature Golf Course. You can’t beat this location! Gateway’s Cypress Cay is close to shopping at Bell Tower Shops & Gulf Coast Town Center, minutes away from Southwest Florida International Airport & I-75 highway, not to mention restaurants galore such as Outback Steakhouse, Cheddar’s, Olive Garden, Connor’s and so much more! It’s just minutes away from everything you could think of from movies, to dining, to nightlife and outdoor adventure! You can contact the HOA directly at (239) 454-1101. 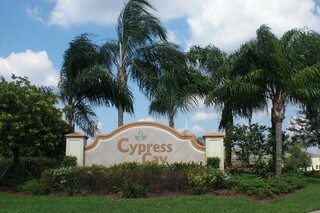 Check out my Gated Community Resource Guide that includes detailed information about Cypress Cay. Contact me for more info about this beautiful community! You can also view all current homes for sale in Cypress Cay. Posted on April 18, 2013, in Real Estate and tagged Beazer Homes, Bell Tower Shops, Buy a Home, Buyer, Cape Coral Real Estate Agent, Cape Coral Realtor, Cheddar's, Connor's, Cypress Cay, Fort Myers, Fort Myers Real Estate Agent, Fort Myers Realtor, Gated Community, Gated Community Resource Guide, Gateway, Gateway Elementary, Gateway Golf & Country Club, Gulf Coast Town Center, I-75, Kristen Pell, Olive Garden, Outback Steakhouse, Property Guiding, Real Estate Agent, Real Estate Biz, Realtor, Southwest Florida International Airport, SWFL Real Estate, Tom Fazio. Bookmark the permalink. Leave a comment.